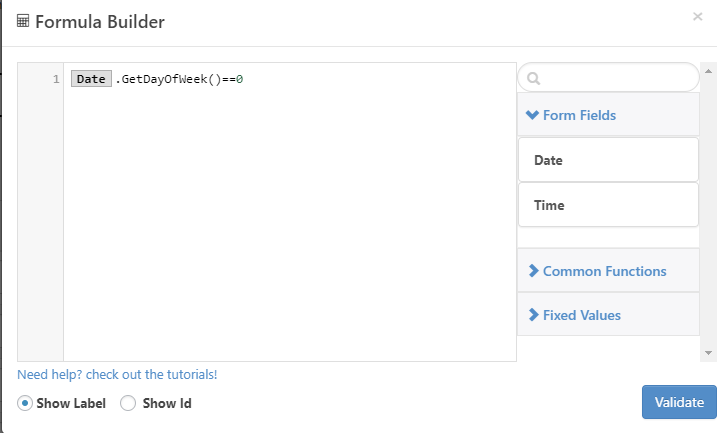 Do you have a datepicker and want to create validations using the selected day of the week? 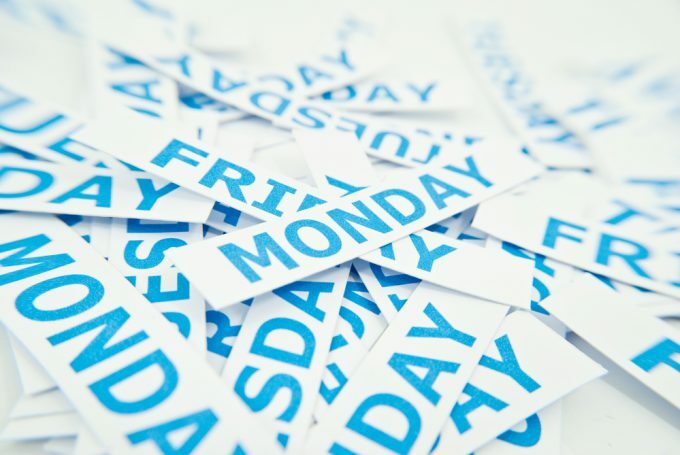 Like for example your business is closed on sundays and open later on mondays and want to validate this in your form? If so keep reading. 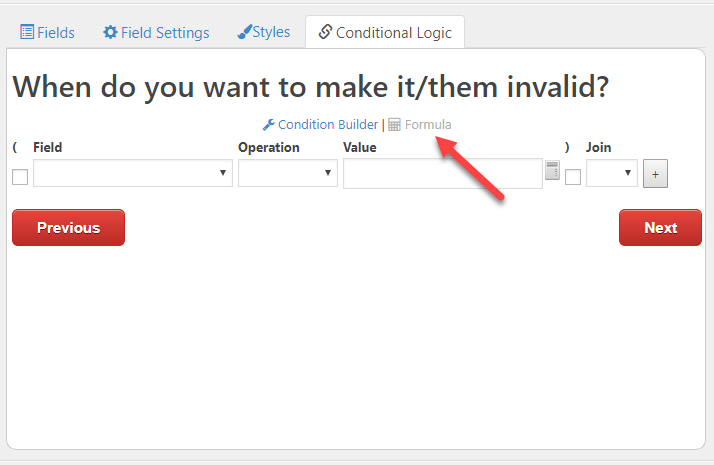 Then you need to create a "Make field invalid depending on a condition"
Now what happen if you want to do more than one validation? For example, let's say that on mondays you open at 12pm so only on mondays you don't want to accept times earlier than 12pm? That's it! Now my form has validations using the day of the week!